Like always, my end of the year list is comprised of the films I personally liked the most rather than which films are the best from a scholarly standpoint. There are already smarter people than me writing that kind of calculated piece and, honestly, most of these “best of” lists put out by major publications are the same criteria I’m using here. Sport movies and biopics are two genres of film that can be lazily put together and still turn a profit based on their subject. 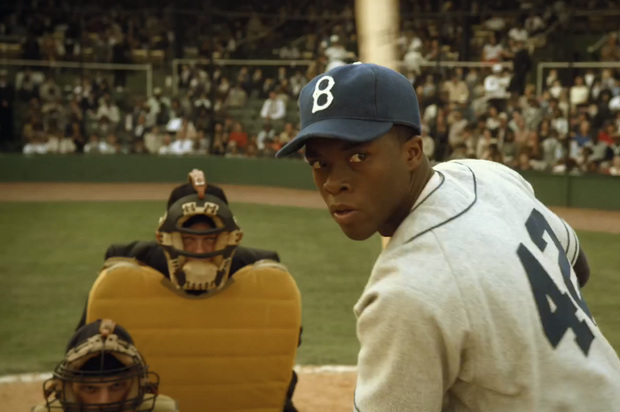 “42”, however, did well to capture the spirit of Jackie Robinson and the era of baseball he played in. 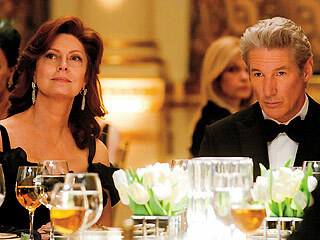 Throw in a surprising performance by Harrison Ford and you’ve got something worth checking out. My original review can be found here. a house for his wife (Genevieve Bujold) whose mind is starting to slowly fade, but realizes along the way just how much the world has changed in his lifetime. The aging romance between Cromwell and Bujold and the rugged Canadian landscape make for a nice, small-scale story. When it was first announced that “The Great Gatsby” would be shot in 3-D and feature rap music throughout, I immediately thought it would be a failure. The new adaptation provided a fresh perspective on the film, though, and made things interesting. 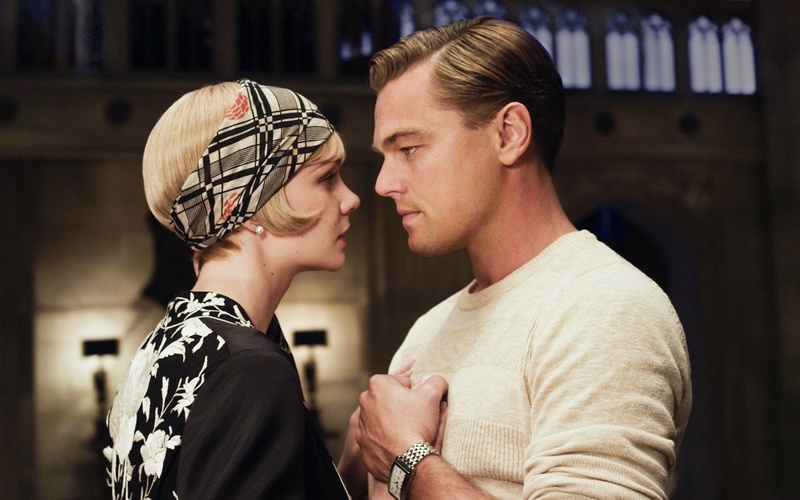 Leonardo DiCaprio is almost too easily cast as Jay Gatsby and Joel Edgerton, Tobey Maguire and Carey Mulligan also turn in great performances. “The Place Beyond the Pines” is another cheery tale from “Blue Valentine” director Derek Cianfrance. It runs a little too long and its message about fathers, sons and fate gets muddled because of that. On the other hand, it has a great score, is shot beautifully and features great performances from Bradley Cooper, Ryan Gosling, Eva Mendes, Ben Mendelsohn and Ray Liotta. In a summer that featured a lot of misses, “Pacific Rim” was arguably the best blockbuster of the season. I think I fell for this movie roughly around the time that a giant robot warrior swung a shipping vessel like a baseball bat at an alien monster. “Pacific Rim” had great visuals and breathed new life into the alien invasion sub-genre. Stories about the Holocaust, much like slavery (spoiler alert), can be a little tiresome after a while because we feel like it’s often the same story re-told over and over. “The Book Thief”, based on the popular bestseller, manages to overcome this fatigue by keeping us from the concentration camps and showing us what life is like in a typical German neighborhood through the eyes of a young girl. 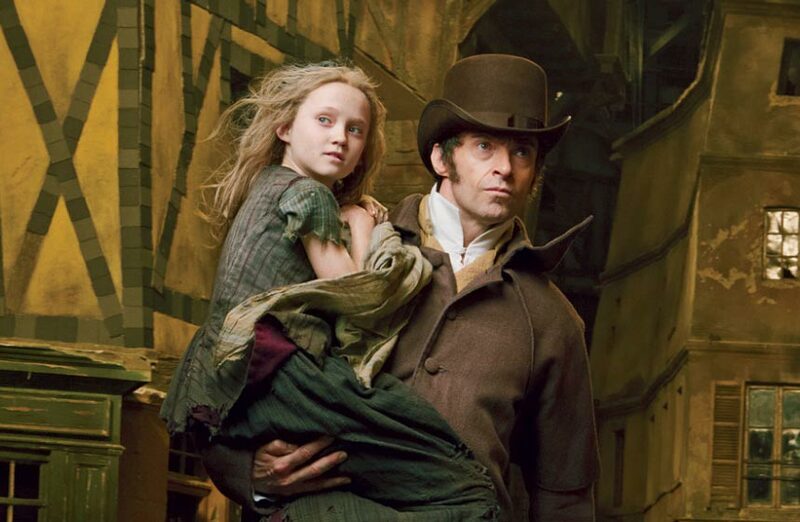 Heartbreaking at times, the film features strong efforts from Emily Watson, the always charming Geoffrey Rush and relative newcomer Sophie Nelisse. 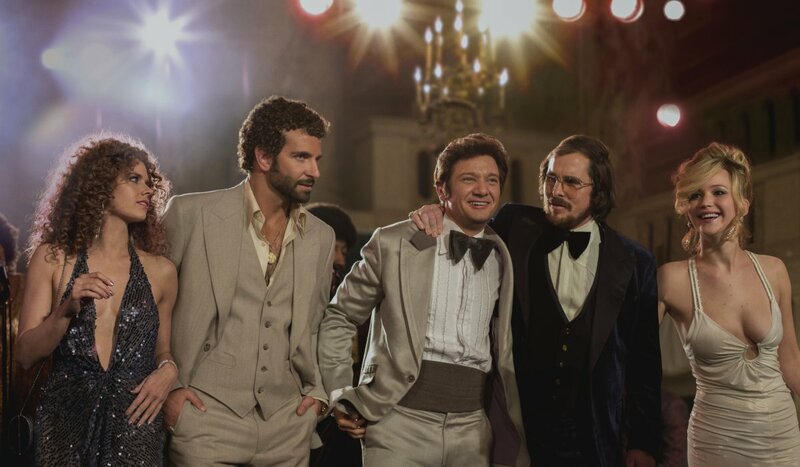 After the success of David O. Russell’s “Silver Linings Playbook”, it should be no surprise that re-teaming with Bradley Cooper and Jennifer Lawrence and adding Christian Bale, Jeremy Renner and Amy Adams would lead to one of the year’s best films. One of the best indicators of whether a documentary is effective is to look at the changes it brings to its subject. After indicting the treatment of killer whales kept in captivity at SeaWorld, stories like this and this began popping up everywhere. If CNN ever broadcasts it again, don’t miss a free chance to watch a great documentary. Bear with me here. 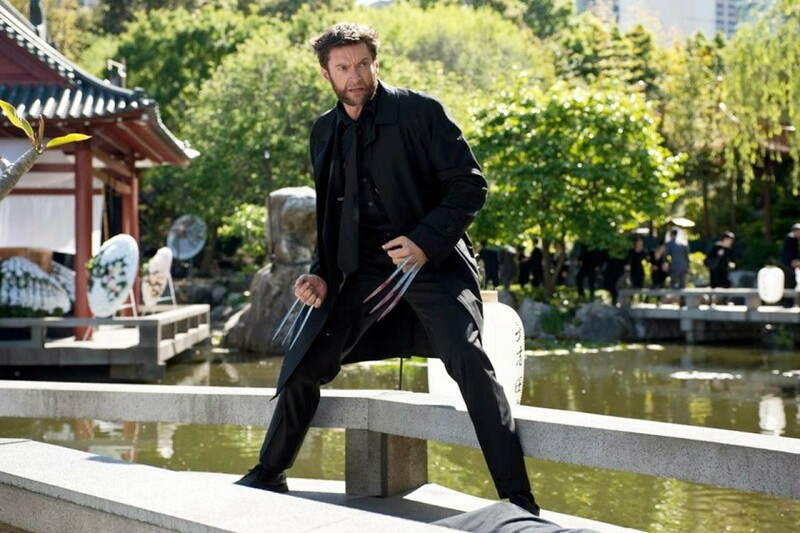 By providing audiences with a more bare-bones superhero story, “The Wolverine” delivered a more personal touch than “Iron Man 3” and “Thor: The Dark World” could have ever hoped for. It wasn’t a perfect film, which you can read more about here, but there were a couple of great fight sequences and the best characterization of Wolverine put on film. This noir thriller was the first film of 2013 worth seeing outside of a Redbox kiosk and, though it had a few faults, Noomi Rapace and Colin Farrell make up for its shortcomings. 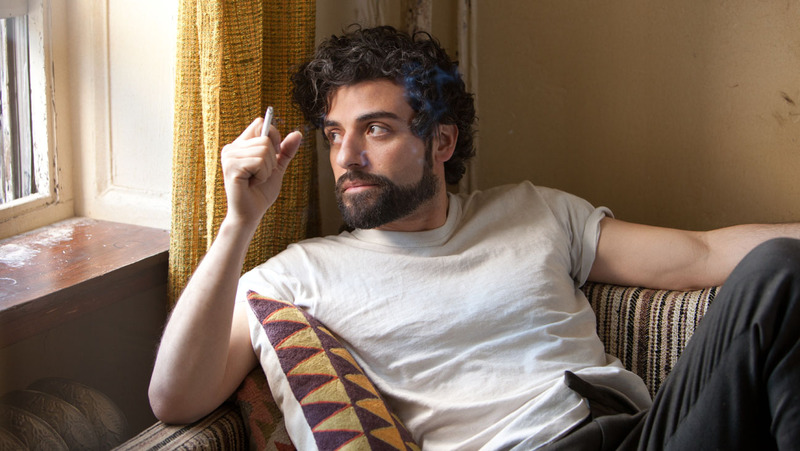 Anything by the Coen brothers is worth giving a watch, but the somber tale of Llewyn Davis is an interesting look into the folk music scene featuring some great songs and a breakthrough role for Oscar Isaac. More on the film here. This old man vs. the sea drama snuck into the end of the year lineup and may earn Robert Redford an Oscar nomination soon. Its visuals are both haunting and beautiful and Redford does more with his facial expressions than 98% of the other actors this year did with an entire script. You can read more about the film here. This film has grown on me a little bit since I first reviewed it. Now that I’ve seen what this year has to offer, I think this modern-day pirate tale had the proper amount of suspense and filmmaking prowess to make it to number 13 on my list. 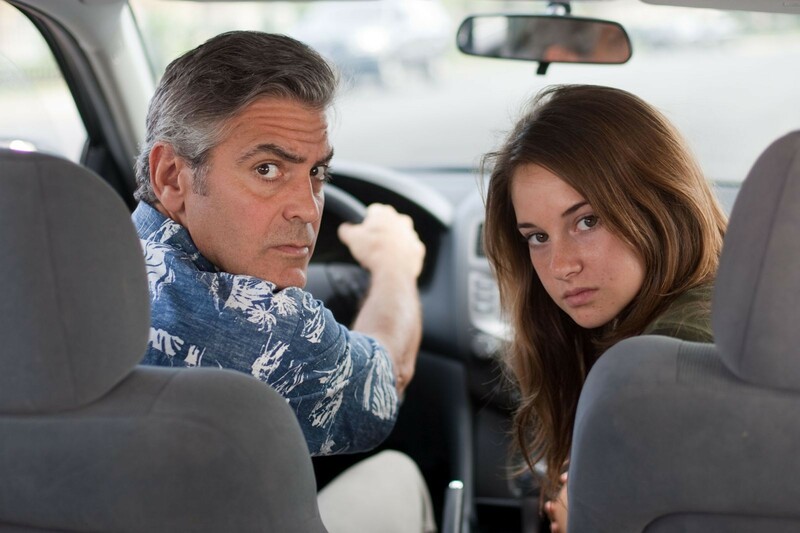 Alexander Payne is no stranger to these “best of the year” lists as both “The Descendants” and “Sideways” have been very popular in their respective years. This time he tells the story of a son (Will Forte) who is essentially forced to travel with his father (Bruce Dern) across state lines to pick up a $1 million reward he knows isn’t there. Along the way there are the usual discoveries made between a father and son and a few laughs to share. There weren’t a whole lot of family choices at the theater this Christmas (part of the reason why “Frozen” and “The Hobbit” are enjoying a boost in revenue), but “Walter Mitty” turned out to be the best bet for those who didn’t want to suffer through 506 F-words in “The Wolf of Wall Street”. 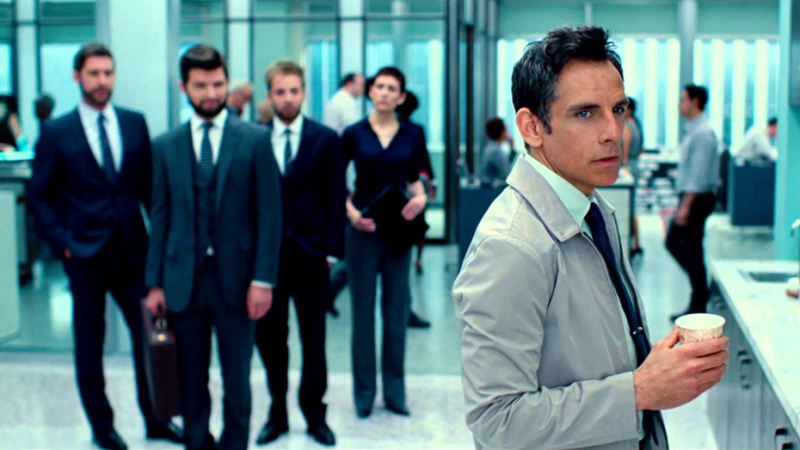 Ben Stiller’s best directorial effort to date (and possibly his best acting) was lost on many critics but audiences are eating it up. It is a heartfelt film that is inspiring, funny, and features some of the year’s best visuals. I have been a long time fan of the Simon Pegg/Nick Frost/Edgar Wright combo and they really didn’t disappoint here with the conclusion of their trilogy started by “Shaun of the Dead” and “Hot Fuzz”. Complex characters, hilarious fighting sequences and an alien invasion plot? How could I not be in? Read more of my review here. 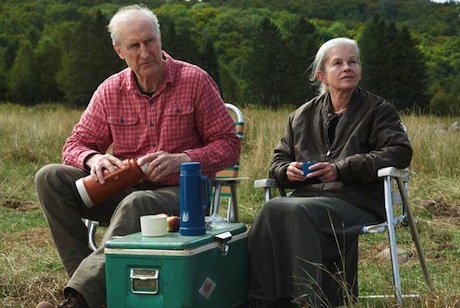 Judi Dench and Steve Coogan are an odd, but perfect, pair in this drama about a woman searching for the son she gave up decades ago. You can read more about this film in my last post before this list. 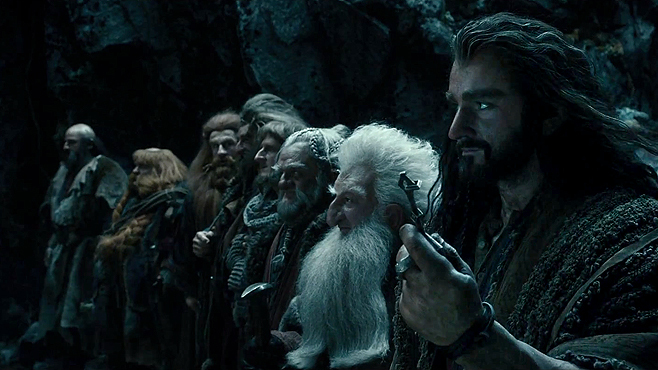 If you love “Lord of the Rings”, you probably love these movies. That’s basically what it comes down to. It’s understandable why book purists are upset over new characters and such, but when you turn an average-sized book into a trilogy of films it has to happen. This sequel delivers on the action and introduces a handful of new characters better than I imagined it would. A more in-depth review is here. Two sci-fi sequels back-to-back? Don’t worry, I’m not saying either of these are “The Empire Strikes Back” (although they are new examples of sequels that out-do their predecessors). “Catching Fire” is one of the best book adaptations I’ve seen in recent memory and it is perfectly paced. More glowing words of approval can be found here. Is anyone still reading this? Put down that pitchfork. While I understand the many problems people find with the film, I still think it overcame them and then some. 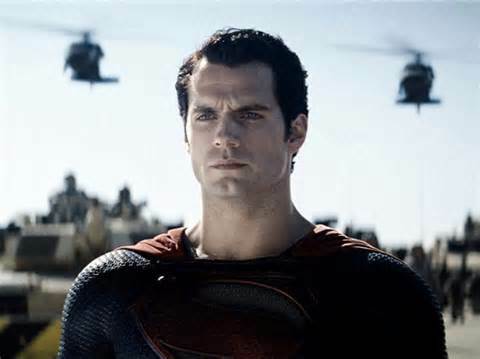 “Man of Steel” is the first superhero movie to make me care about a character I previously hated. It’s also one of the most entertaining superhero movies ever made, as scenes like the Smallville fight prove. Here’s more on the film. The second black-and-white film on my list comes from director Noah Baumbach and the love letter he made for the great Greta Gerwig. This quirky film about a quirky girl is not just quirky for the sake of being quirky (thanks for helping me win that bet with myself) but actually has a lot to say about growing up and how it affects the relationships around us. For a sneak peek, here’s the trailer. Also available on Netflix. This was only the first of three films this year where there was Oscar buzz for Matthew McConaughey. A small film featuring a big cast (McConaughey, Sam Shepard, Reese Witherspoon, Michael Shannon), “Mud” gave Arkansas the Hollywood treatment and made an excellent crime drama. Here’s more on the film. I love Alfonso Cuaron’s work as a director so I can’t skip over this impressive film that’s finally pushing him into the spotlight. “Gravity” features the best visuals of the year and manages to keep the suspense up for a solid 90 minutes. Throw in some great performances by Sandra Bullock and George Clooney and you’ve got a winner. I honestly don’t understand how little this film has been talked about the past month or two. 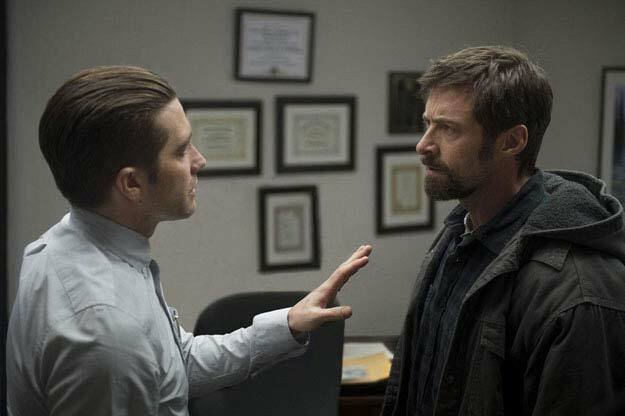 Hugh Jackman and Jake Gyllenhaal are electrifying and its one of the best crime mysteries since “Zodiac”. Just goes to show that the best films aren’t always found in November and December. Here’s more of my thoughts on the film. Like I said years ago when you started this list, movies about slavery can often be predictable or feel too familiar. It takes a special kind of film to reinvent the genre like this film has. I had a feeling when I first saw it that it would end up at the end of this list. The performances by Chiwetel Ejiofor, Lupita Nyong’o and Michael Fassbender are arguably the best of the year and the film is beautifully directed by Steve McQueen. Here’s some more reasoning on why I think it deserves the top spot. If you made it through the end of the list, thanks for sticking around. Though January isn’t known for stellar new releases, I will be covering the Golden Globes and Oscars on here and Twitter at @VC_Reviews. Happy viewing. After a few days of putting this off, I thought it was about time for me to name my favorite movies of this past year. Better late than never, right? This movie REALLY went under the radar, as it was put into limited release during the Oscar season last year. For whatever reason, “Barney’s Version” got buried. It’s a shame because this movie was incredibly well-acted by Paul Giamatti, Dustin Hoffman and a host of other supporting characters. What probably didn’t help the movie was a horrible trailer that made it look like a weird romantic comedy instead of the lifelong character study of Barney Panofsky. Although the actors are spot on and the writing is enjoyable, the one thing that kept this from being higher on my list was that the film, based on a novel of the same name, just felt waaay too long. Still, “Barney’s Version” ended up being my sleeper favorite of 2011. There’s something to be saild for filmmakers with real imagination. Although writer/director Joe Cornish shouldn’t be considered an elite director yet, this little sci-fi film of his was a real surprise. The story follows a group of young hoodlums who must band together when an alien species lands in their government housing area. For a genre that has seen pretty much everything, it’s always nice to experience a fresh take. A strong protagonist and some imaginative creatures make the premise work. Another surprise favorite of mine was this take on the Wall street crisis which stars Zachary Quinto, Kevin Spacey, Stanley Tucci, Demi Moore, Jeremy Irons, Paul Bettany and Simon Baker (tell me that casting list doesn’t give you goosebumps). At the end of a long workday, an analyst at a financial firm discovers certain discrepancies that threaten to bring down the company. This begins a mad dash to fix the company’s bottom line before business resumes the next day. 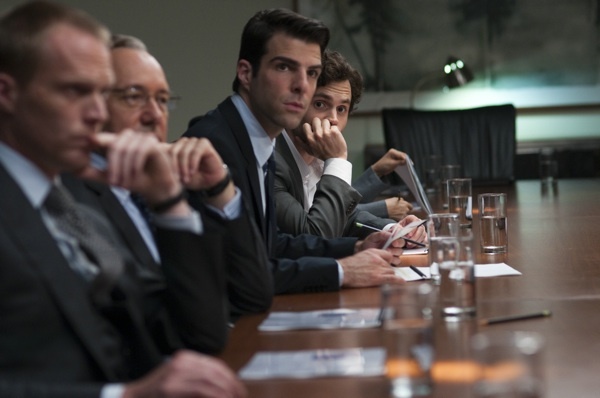 What I loved about “Margin Call” was that its incredible cast was able to live up to the hype. Most times when a film like this comes along, big-name actors tend to get in each other’s way and the film feels a little disappointing. Each of this characters are fleshed out and everyone gets their time to shine. Combined with great pacing and a smart script, it’s a real winner. I was wondering whether or not to include this since it’s a remake of a recent film, but I think its quality makes up for that fact. Besides, everything these days is based off a book, video game or TV show. 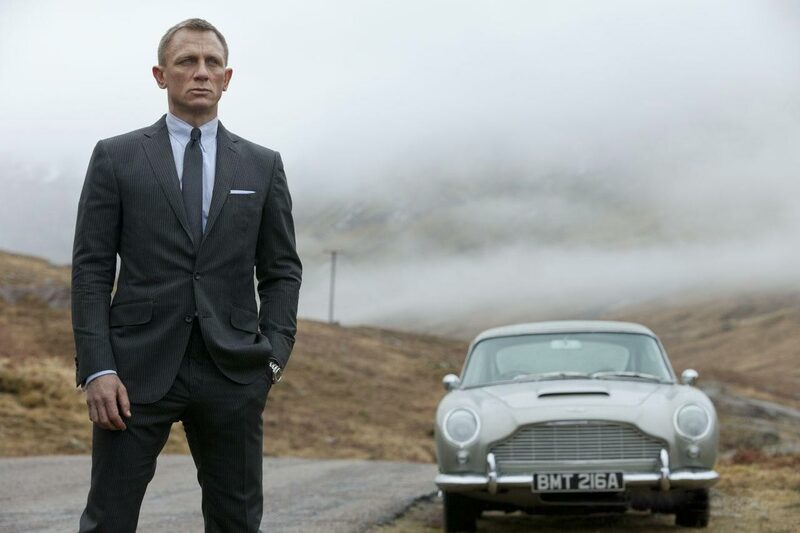 What made me love this one so much was the duo of Daniel Craig and Rooney Mara. They really sold their characters from the Stieg Larsson novel. Throw in some great directing from David Fincher and a good score by Trent Reznor and you’ve got yourself a great movie. I’m not sure if there was another movie this year that surprised me as much as this one did. I went in expecting something marginally better than 2008’s “Never Back Down,” but found myself loving this film. 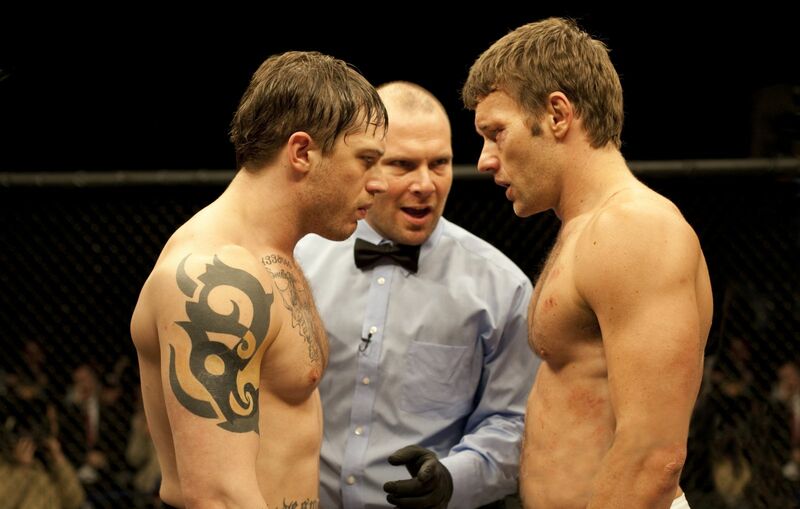 What on the surface appears to be a movie about mixed martial arts unfolds to be a compelling family drama. The scenes in the ring are great, but what really sells the film is the family dynamic. The recovering alcoholic (Nick Nolte, whose performance is an Oscar nominee) and his two estranged sons (Tom Hardy and Joel Edgerton) steal the show in what could have been a very forgettable movie. And now for the top 5….. Some people found this movie very slow and boring. I am very glad to not be part of that group. Is it a little slow? Yes. Boring? Not in the least. The film had my attention by the end of the first car chase. 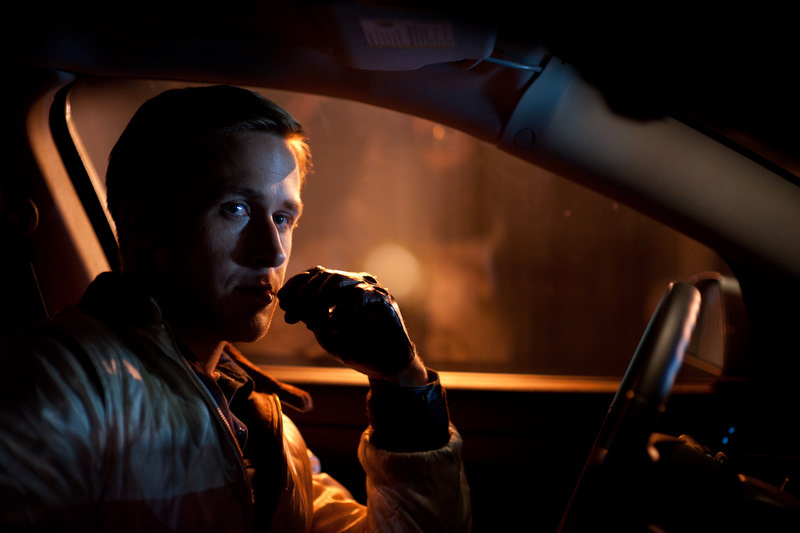 What I really liked about “Drive” was the way each scene was shot. It seemed like everyone took their time and milked each moment for what it was worth. Films these days can be in too much of a hurry and I appreciate the careful craftsmanship of director Nicholas Winding Refn. On top of that there are some great performances in the film. Most notably Ryan Gosling, Bryan Cranston and Oscar nominee Albert Brooks. Yes, it’s supposed to win all the Oscars and I have it at number 4. I don’t really care. Even though I gave the film a near-perfect review myself, I still wouldn’t say it was my favorite movie of the year. “The Artist” checks all the boxes for award material and it IS a great little film. However, I don’t think it hit me at the core like any of the films in my top 3 did. When I first saw the trailer for this movie, I wasn’t too interested. It looked it was trying too hard to be quirky and George Clooney films are often overrated. The film turned out to be a bit of a surprise for me when I left the theatre, though. I’ve said before that family is one of the most powerful elements a film can have and this film really explored the family dynamic. 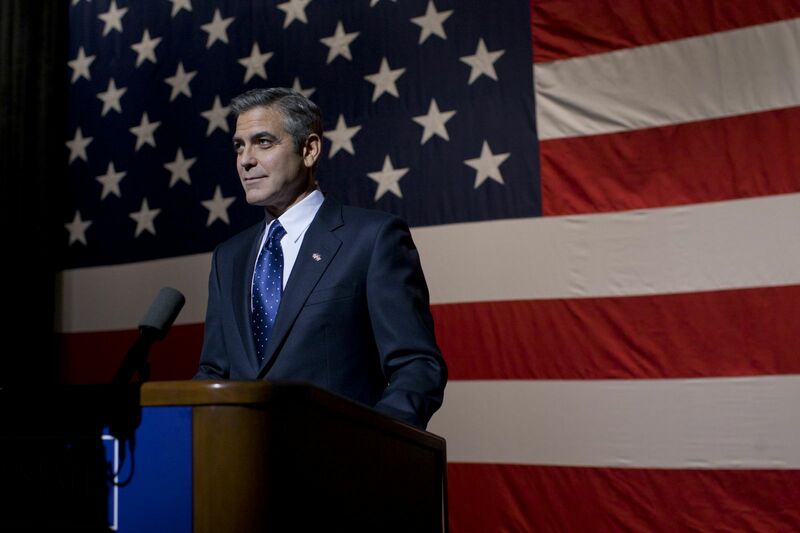 Clooney does a great job of playing the patriach trying to keep his head above water after his wife falls into a coma. Between hospitals, visiting family members and trying to raise his daughter his character is given a lot of wiggle room (which he does very well with). Alexander Payne is also a very gifted writer/director and the film works wonders with him at the helm. I almost have to call the decision between this film and my number one a tie. They are both great and really made an impact on me. “50/50” is about a twenty-something (Joseph Gordon-Levitt) who is diagnosed with cancer and everything that comes after this revelation. The film dances on the difficult line of mixing comedy and tragedy and walks away unscathed. Part of how it does this so well is the smart script by newbie writer Will Reiser. 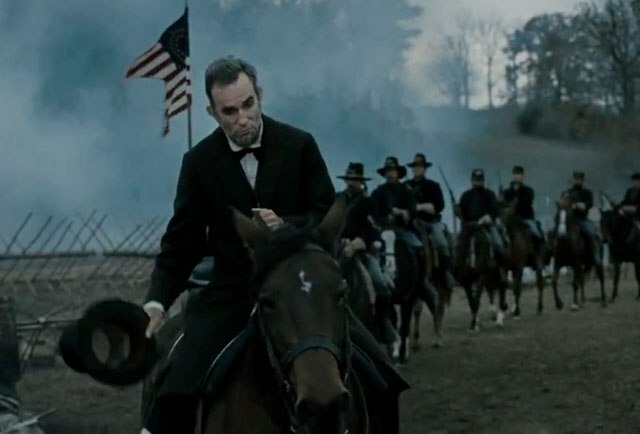 The rest can be found with the film’s very good cast – Levitt, Seth Rogen, Anna Kendrick, Bryce Dallas Howard, Anjelica Huston and Philip Baker Hall. And for my top choice…. If you had told me a year ago that my favorite movie of the year was going to be a 3D movie, I would have laughed in your face. Some people say it feels too long or that it can’t decide what it’s about, and I get that. 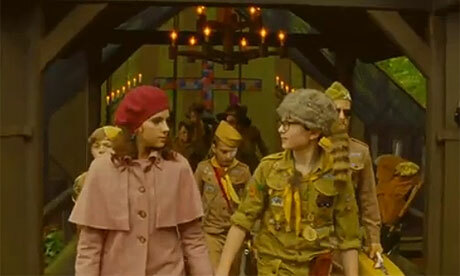 There are few times that a movie actually feels magical and this was one of those times for me. I was swept away by pretty much every minute of this film. Asa Butterfield and Chloe Grace Moretz are great together onscreen and the supporting performance by Ben Kingsley is fantastic. His scenes in both the present and his early filmmaking years are probably the best parts of the movie. As for the directing, Martin Scorsese delivers a well-crafted love letter to cinema which can be enjoyed by anyone who has ever fallen head over heels while sitting in a theater chair. That’s it for my ten favorite films of 2011. Did I miss your favorite? Let me know. Check back on Sunday for my Oscar picks and follow along on Twitter as I’ll be covering the show at @VC_Reviews. Let’s call this post “The Honorable Mention” list. I try to not use the word BEST because this stuff is so subjective already and that way I can leave out your favorite movie without finding a horse head in my bed the next morning. So let’s take a look at the movies I thought were good, but just fell short of my Top Ten. I know certain people will hate me for not making this the No. 1 movie of all time, but I can live with that. I was a late bloomer on this series, as I hadn’t seen any of the movies until last year and I still haven’t read a page of the J.K. Rowling books. That being said, I enjoyed this movie more than any of the others in the series and it felt that director David Yates and the entire production team put out a fitting end for the series that coincided with many people’s childhood. 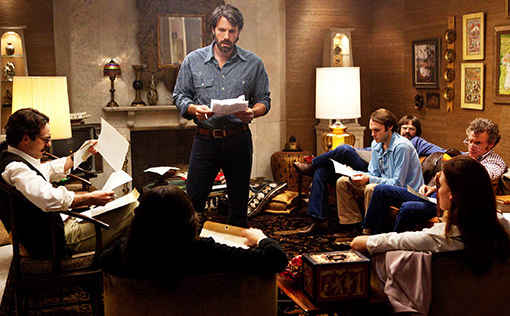 This one flew under the radar for many in mainstream audiences since it didn’t have any big names attached and came out this past summer when most people were thinking about “Transformers” or “Super 8.” I believe one of the most powerful dramatic elements of film is the family. We all identify with family one way or the other and there are a lot of different angles to take. This film focuses on the relationship between a father and son and really hits home at its emotional core. Some people are angry about Michael Fassbender not getting nominated for an Oscar for his role in “Shame” (and they should be) but I’m really glad the Academy remembered Demian Bichir at the time of casting ballots. This was not a perfect movie. There are questions about continuity with the Hugh Jackman franchise, a horrible performance by January Jones and confusing character motivations to say the least. 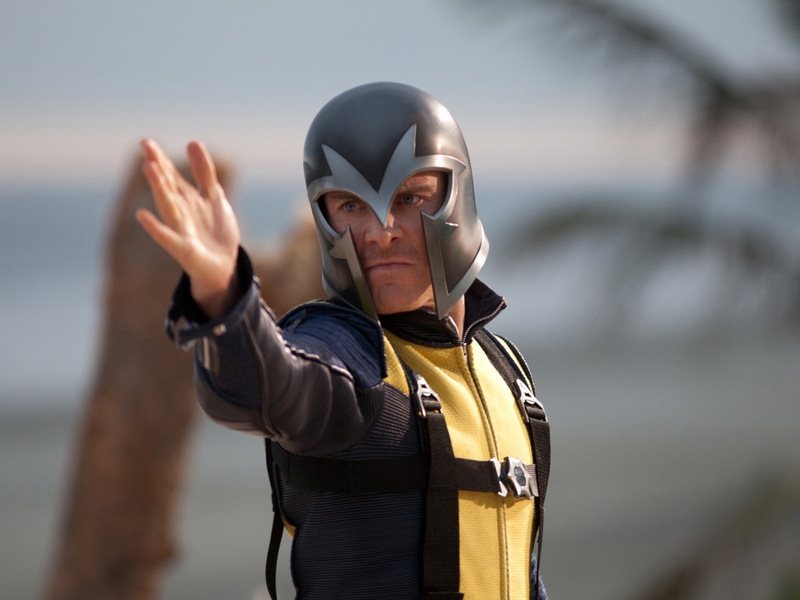 However, the film was able to somewhat revitalize a franchise that I myself wanted to bury in a dark, unmarked hole after the mistakes of “X-Men: The Last Stand” and “X-Men Origins: Wolverine.” James McAvoy and Michael Fassbender also nailed there parts in my opinion. The latter finally gaining the mainstream attention he deserved was icing on the cake. 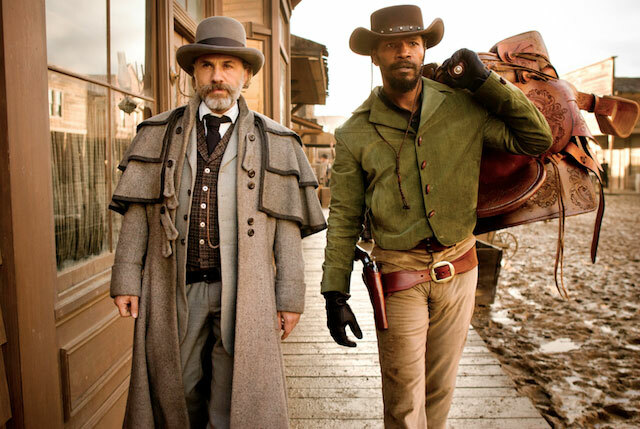 I have always hated how quickly the Western was thrown under the bus after the Clint Eastwood years in America. “Rango” was a great introduction to Westerns for the younger generation as well as a good animated movie. It may not have been Pixar-ian in its ability to connect with everyone on the same level but it was certainly better than that studio’s release, “Cars 2,” this year. 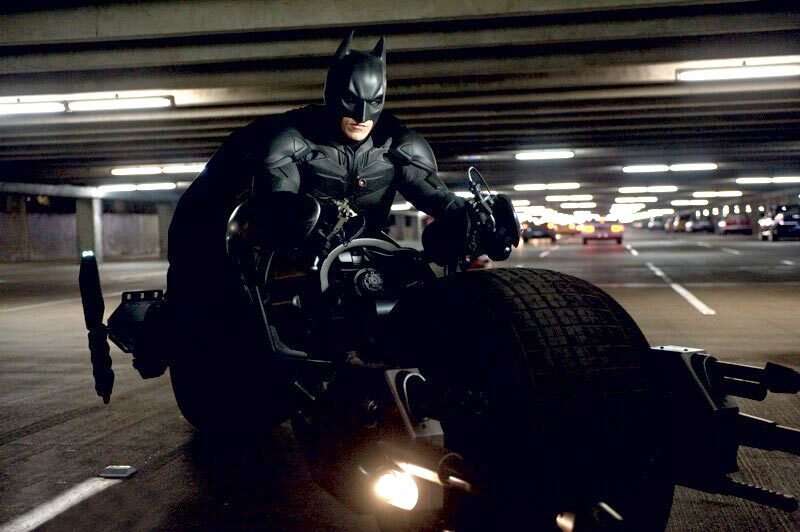 Action movies tend to be overlooked during the awards season with the exception of technical categories. While I’m perfectly fine with that 90% of the time, I do feel that its worth at least mentioning when a blockbuster does everything right and delivers a film better than the average cannon fodder. Despite his constant upstaging of my name on Google search results, I really like JJ Abrams. His work here did seem to unravel a bit as the film progressed, but it was a great homage to both monster movies and the kind of early start filmmakers had back in the day. In a different era and with a completely different tone, seeing the kids work with cameras and make-up reminds me of other movies this year that were about the filmmaking process. I don’t want to say this film is a disappointment (it is, after all, on my list), but given the cast it had (George Clooney, Ryan Gosling, Philip Seymour Hoffman, Paul Giamatti, etc. ), “The Ides of March” could have been a grand slam. Instead it was a nice home run. Well, that’s all for this post. 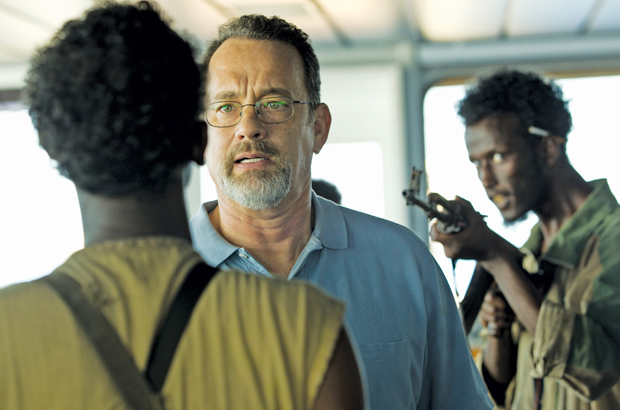 Check back later this week when I’ll have the final list of my ten favorite films of 2011. Feel free to agree/disagree with my choices in the comments below.